I'm so delighted to introduce my next guest, Kelly Finley! 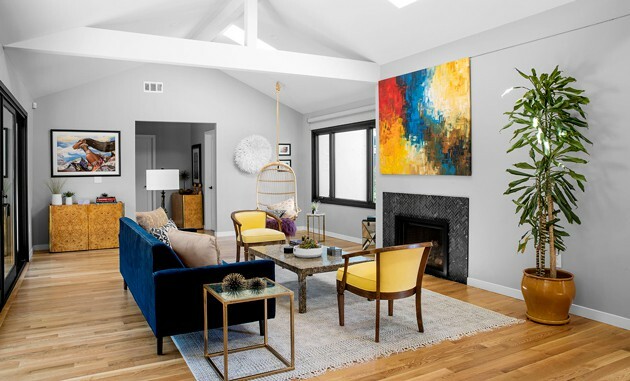 As a top interior designer in The Bay Area, Kelly is here to discuss her interior design journey, working in one of today’s hottest real estate markets! 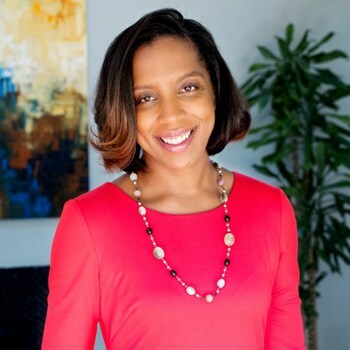 From changing careers and opening one of Oakland’s top design studios to running a non-profit organization, Kelly has a wealth of wisdom and experience which I can’t wait to share with you! Kelly's studio, Joy Street Design, is an upscale full-service design boutique. 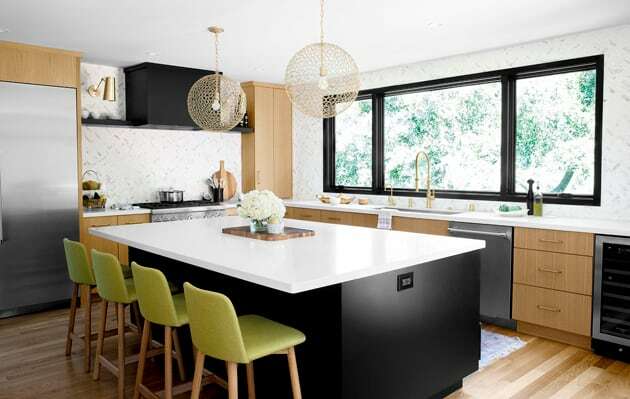 Working on projects large and small, Kelly and her team breathe life into Oakland interiors through bold color, youthful accents, and finding solutions to even the most challenging of floor plans. What you may notice throughout Kelly’s designs is her ability to merge eye-catching accents with unique and modern materials, creating a personalized touch while preserving (and complementing) the traditional Bay Area architecture. Joy Street Design understands how to turn an interior into a lovely space that caters to family needs such as reliability, durability, and style. So, without further ado, please welcome Kelly! Q: Thank you so much for joining me, Kelly! You’re a true inspiration with an interesting background. To get us started, let’s talk about your educational journey. You have degrees in interior design, law, and business. Before design, you were practicing law - what encouraged you to make the transition to interior design? Kelly: While working at a large law firm, I decided to take a class in drafting as a hobby in the evening. One class in drafting turned into two years of evening classes (while maintaining my caseload at work) and I discovered a new passion. When the opportunity to switch careers presented itself (a move), I jumped at the chance and haven’t looked back. Q: And you've shown great passion for interior design beyond your design studio, too. I’d love to hear about your non-profit, Joy By Design - could you tell us a bit about the cause? Kelly: Joy By Design is a nonprofit that is focused on providing the same interior design services that I provide to my high-end clients to those less fortunate. I believe that everyone deserves to live in a space that is welcoming and warm. Joy By Design partners with other nonprofit organizations who are providing shelter and aid for those less fortunate and ensuring that their environment is welcoming to those seeking it. Q: Wow - that is truly amazing! Seems as though so many doors opened once you found your true calling! Speaking of your design studio, a major focus for you and your team is reaching full potential out of “oddly configured rooms.” Is this a common design dilemma in Oakland? What types of design challenges do you run into most and what are some of your signature solutions for them? Kelly: I like to work with existing houses and help the homeowner realize how the existing floorplan can work in the way that we live today. Choices that were made in the ‘60s and ‘70s might have made sense back then but they just don’t work today so it's my job to figure that out for them. Also, given that space is such a premium in the Bay Area, there are often random rooms that are oddly shaped or lack a purpose, and a good space plan can change that. Q: That's a great point. So many city residences these days are trying to make the most out of a small floor plan - and, the worth of having professional help is priceless. Which design trends are you loving most right now - and which trends are you ready to say goodbye to? 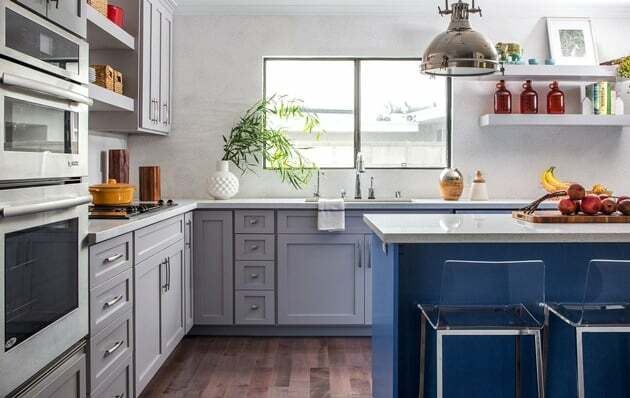 Kelly: I love the moody colors for kitchens (dark greens and blues). I’m still in love with brass plumbing fixtures and hardware but have been using a ton of matte black hardware and plumbing fixtures lately. The matte black instantly modernizes any space. I'm a color lover so I will be happy when the all-white kitchens get a facelift. Q: As a designer who loves to make use of bold color, do you have any tricks on discovering a client’s perfect color palette? Kelly: I like to start with inspiration pieces - a wallpaper, a fabric sample, maybe a piece of clothing - that is the jumping off point for the entire design. I think the inspiration pieces can sometimes be discerned by looking in the closet or noticing a pattern to the items they are putting on Pinterest but sometimes they often happen organically. Q: And, lastly, to add onto the topic of color/design inspiration: The African American community is known for being at the forefront of style trends. Do you attribute your status as African American to any aspects of your design? Kelly: I believe the Black American experience is richly infused with color - vibrant, bold, energetic color - and I think my love of color is partly a result of this. I grew up in a house that was infused with color whether it was the paint on the walls, the artwork, or the fabrics on the sofas and pillows. There were no white walls in our house (and still aren’t) and each room felt alive because of it. I like to create “lived in” rooms that tell a story about the owner but also welcome its visitors, and infusing colors and warmth into the space is one way that is achieved. Beautifully said, Kelly! It was a pleasure speaking with you and learning all about your life as an interior designer. You’re someone to be admired wholeheartedly, as you not only bring beauty into your clients’ lives but also dedicate your time to helping those in need. Thanks for giving me your time and I hope to catch up with you again in the future! 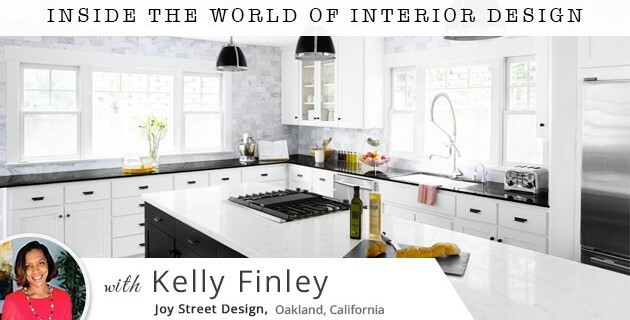 To learn more about Kelly Finley’s Joy Street Design, make sure to check out her Instagram, Pinterest, and Houzz, or connect with them on Facebook & Twitter!